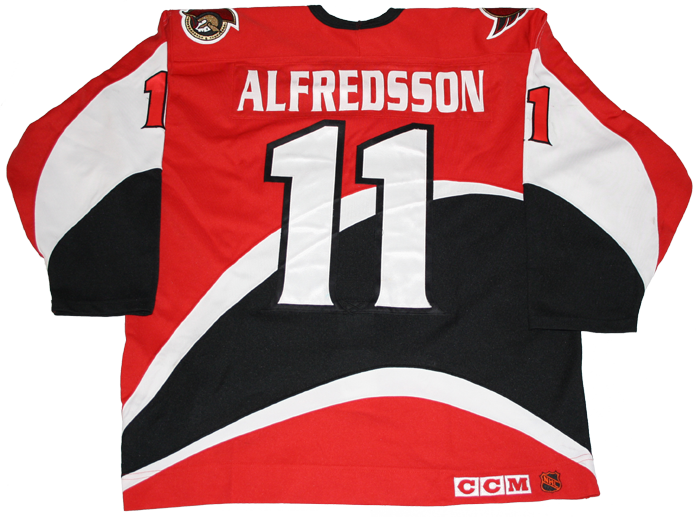 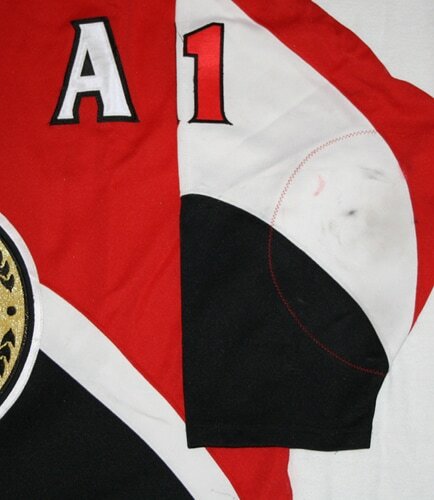 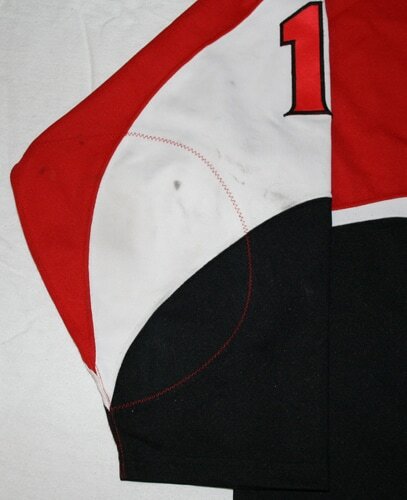 This jersey was worn by Daniel Alfredsson of the Ottawa Senators during the 1998-99 season. 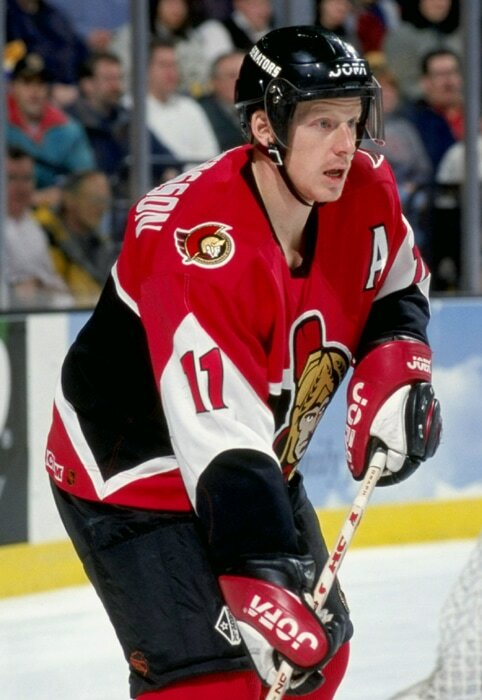 This was the final season that Alfredsson wore the assistant captain's "A" before he became captain in 1999-2000. 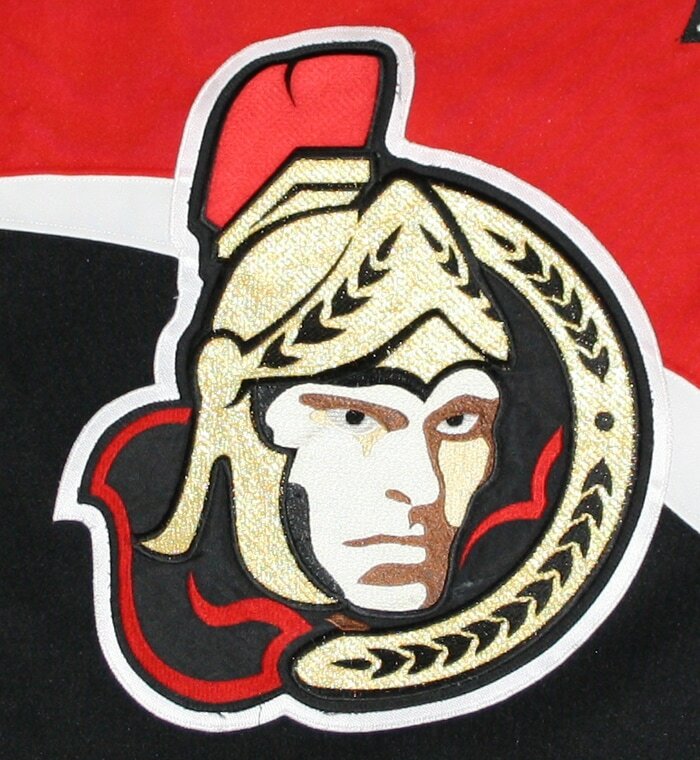 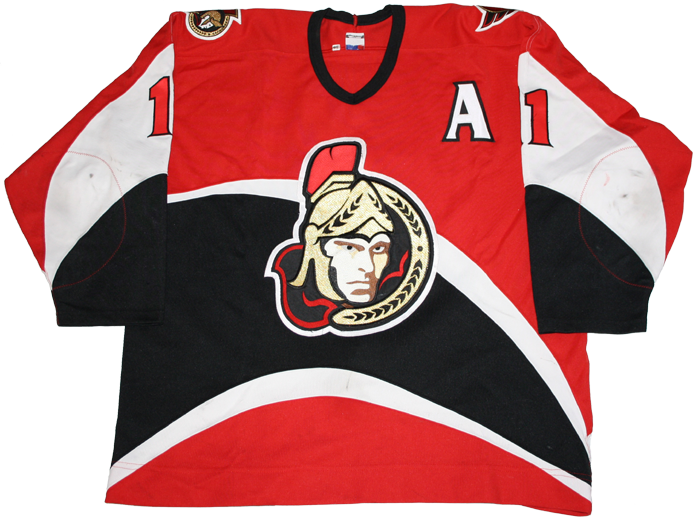 This was also the final season that these jerseys were worn by the Senators as their third jerseys, as they became the Senators road jerseys the following year.